Getting ready for the spring season: a workshop was held at Roskilde University. 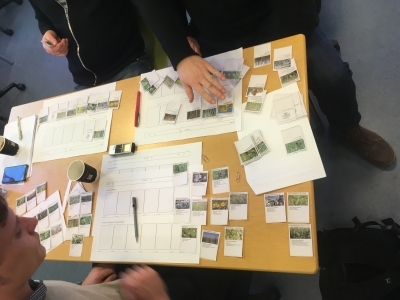 The first co-design workshop with Danish satellite farmers took place last January 24th. The workshop included inspirational talks from theory and practice, knowledge sharing and generation of new intercropping rotations as well as concrete ideas for the on-farm intercropping trials for the spring season. This workshop is one of the activities developed by the the Danish Multiactor Platform (MAP). ReMIX adopts the EIP-Agri multi-actor approach in order to produce new knowledge that is both scientifically credible and socially valuable for conventional and organic agricultural system.